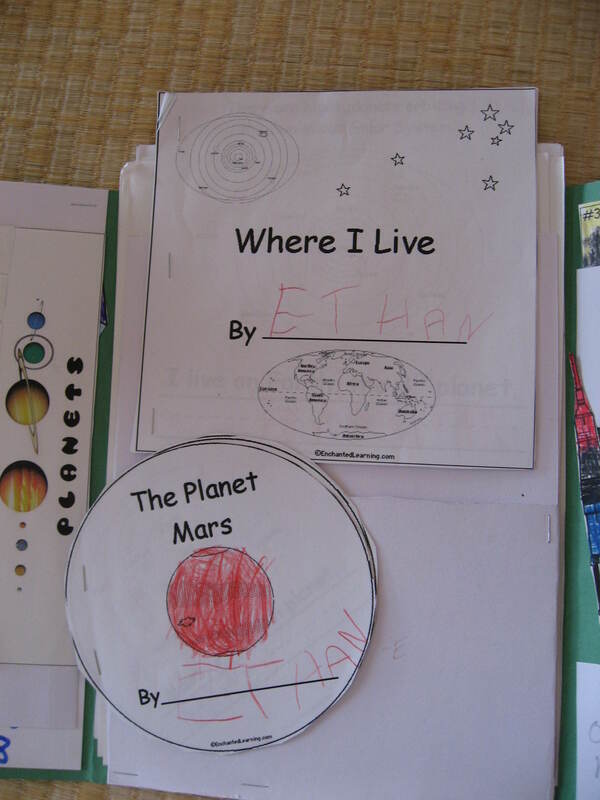 Last summer when we were just getting into lapbooking, the boys decided that they each wanted to make their own lapbook about space. 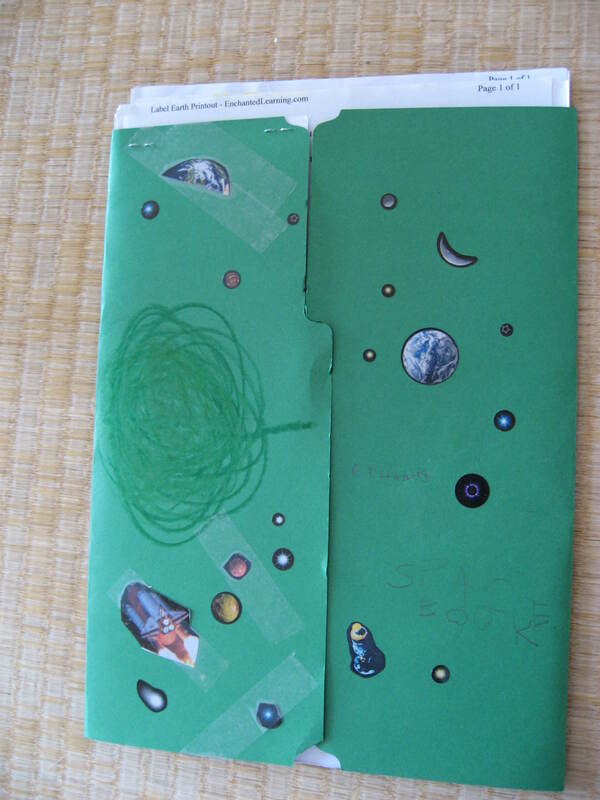 We read several books about space and learned the names of the planets, their order from the sun, and different characteristics about each of them. We also learned about asteroids and about the International Space Station, two topics I didn’t know much about so it was a great learning experience for me too. 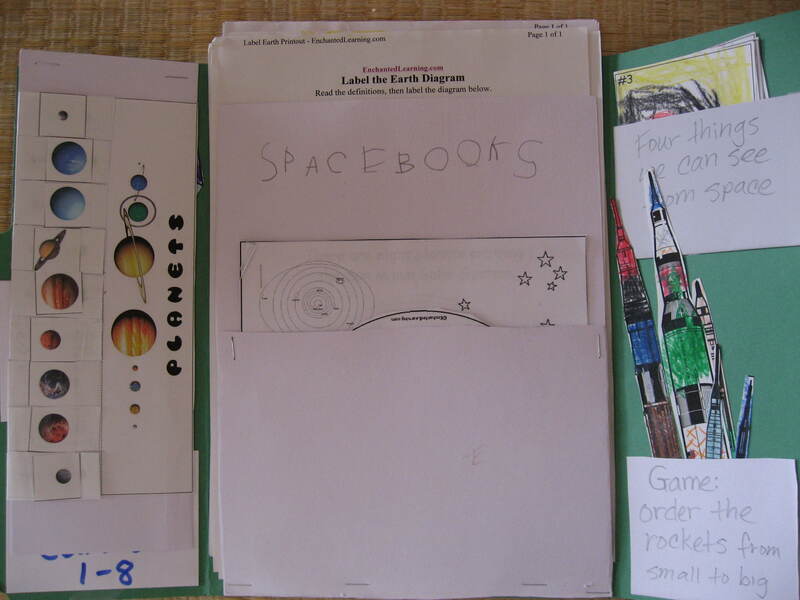 The NASA website was a helpful resource for us as we created this lapbook. 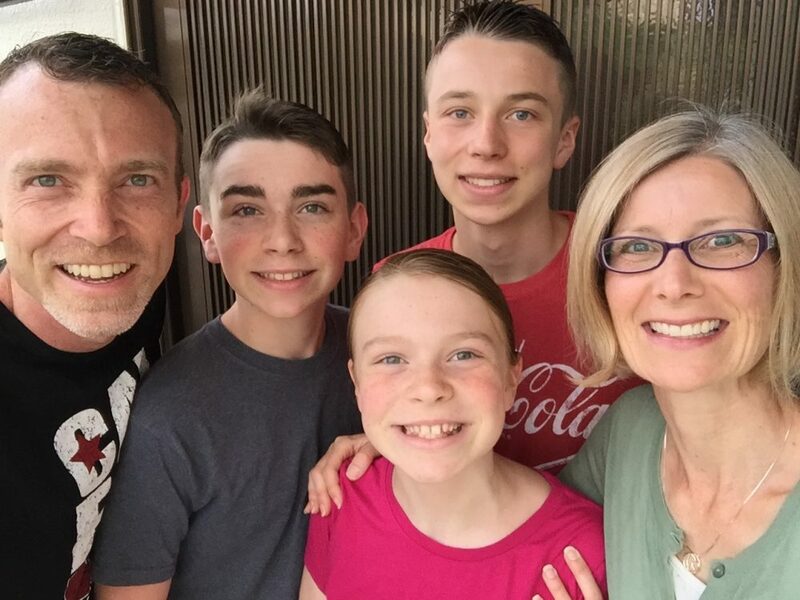 Here are are a few photos of the one that Ethan made. Inside the first layer of the lapbook. 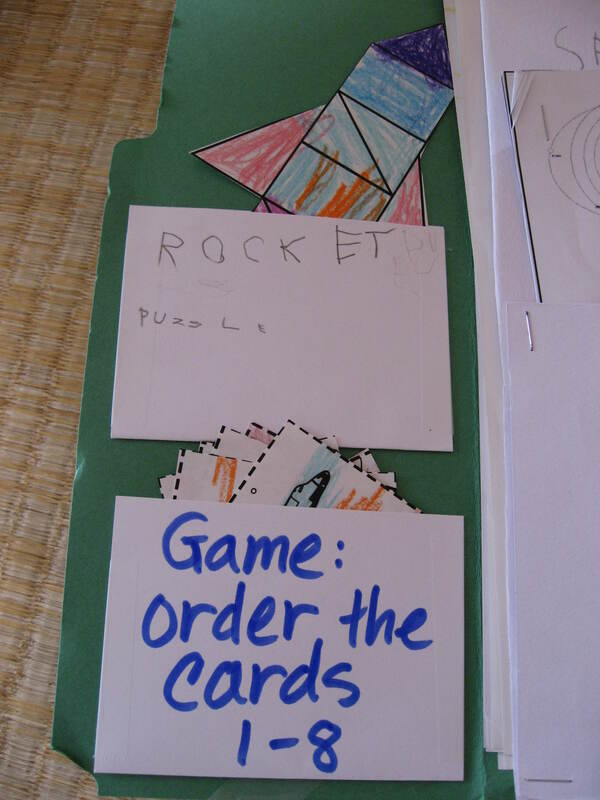 Some of the mini books the boys made. 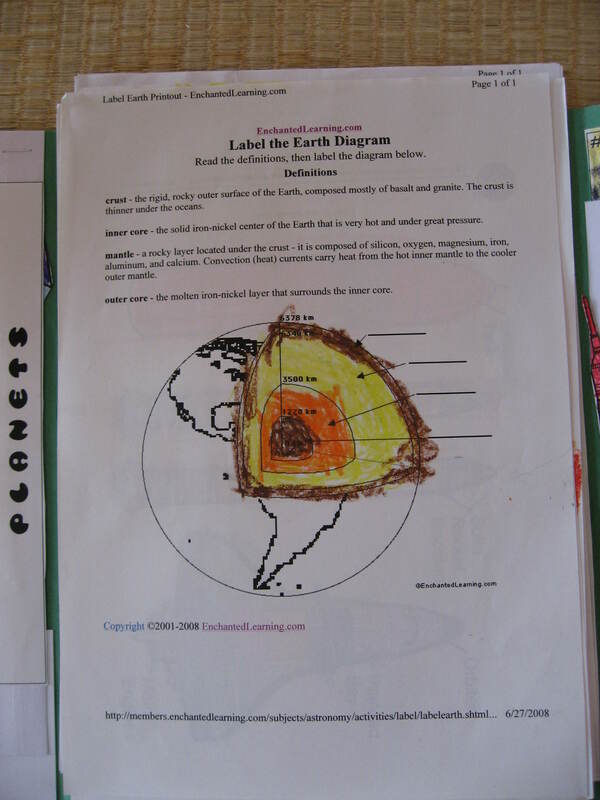 A diagram of the layers of the earth. 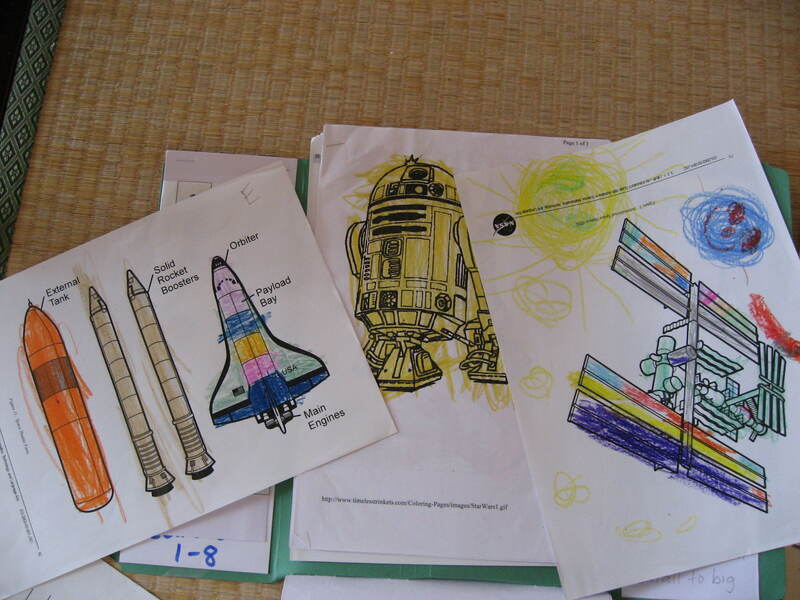 Austin and Ethan learned about and colored pictures of the parts of the space shuttle and the International Space Station. And, of course, they had to add in some Star Wars pictures for fun too! Games and puzzles from the NASA website.